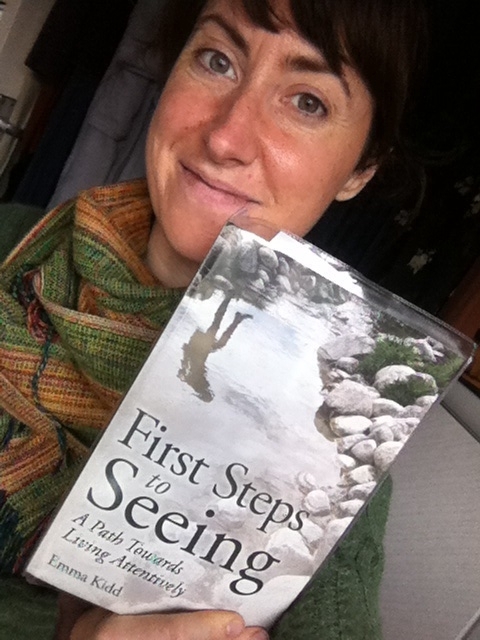 First copy of ‘First Steps to Seeing’ is now in my hands!!! The first copy of my new book First Steps to Seeing: A Path Towards Living Attentively is now in my hands!! And it feels so good! I am looking forward to seeing the book take on a life of its own around the world, but I feel that it needs a little help to get it on its way. – Sharing news of the book to friends, family, colleagues, networks and groups of lovely like-minded to people, or to anyone that you feel may be interested! – Requesting the book from a local book store, or asking them to stock it. I have attached below a PDF with an image and summary of the book to be shared. I have also attached part of the actual book in PDF format, which includes; contents, acknowledgments, preface and the introduction. Feel free to read this excerpt yourselves and also to share as you see fit. I also am very open to writing articles that link to the book, to doing interviews, and book readings (also via Skype) etc. I have a vague plan to do a bit of world trip at the end of the year, which would include Hong Kong, possibly Bali, Australia and New Zealand. And of course, feel free to buy the book yourselves, either as an e-book or in paperback. This entry was posted in Uncategorized on June 16, 2015 by roseyenglishangel.